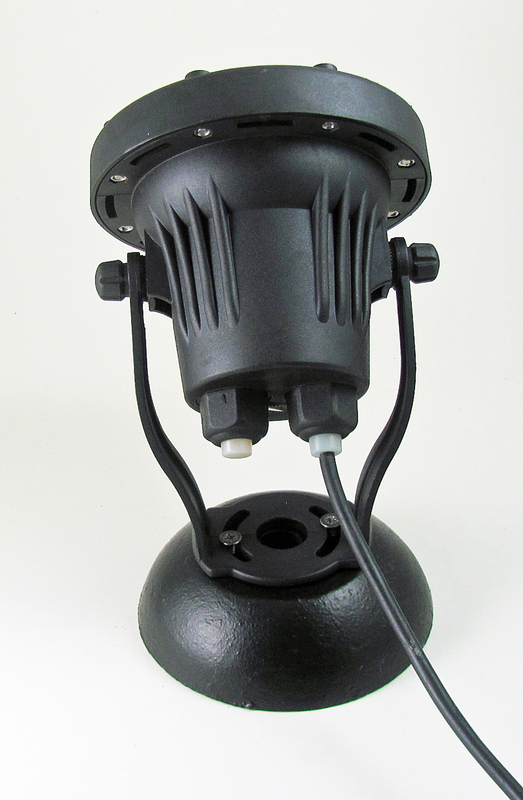 The Rena OEM 50watt low-voltage spotlight kit is ideal for larger landscapes and water features. 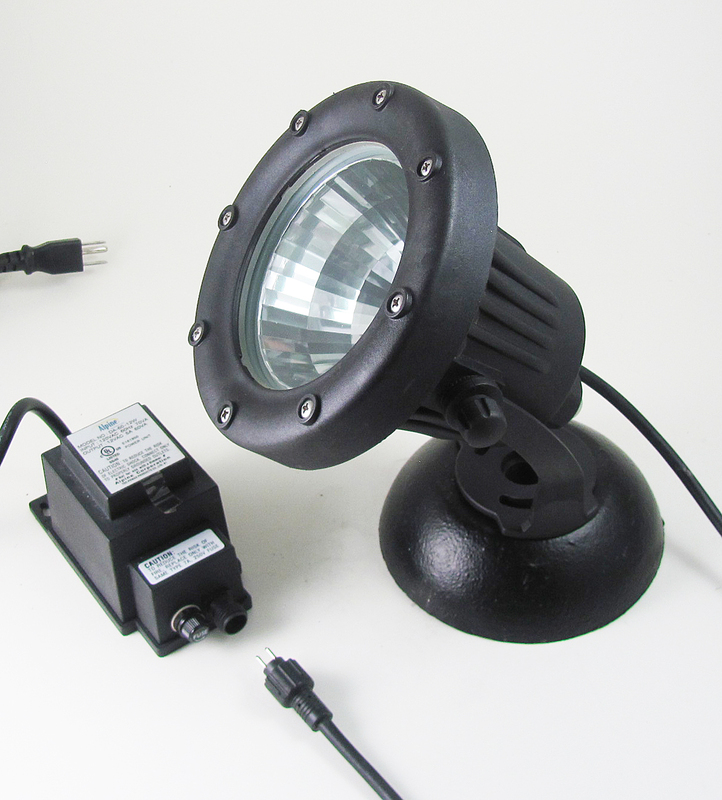 The kit comes complete with rugged ABS housed 50 watt halogen light with reflector, 8lb mounting base and weatherproof fused transformer. 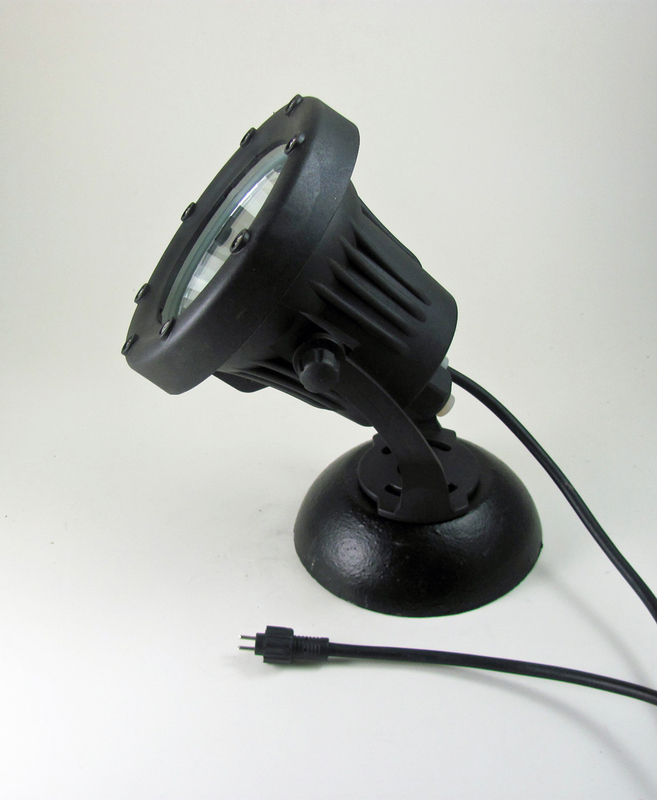 The mirrored surface inside the light housing increases light output dramatically without increasing power usage. 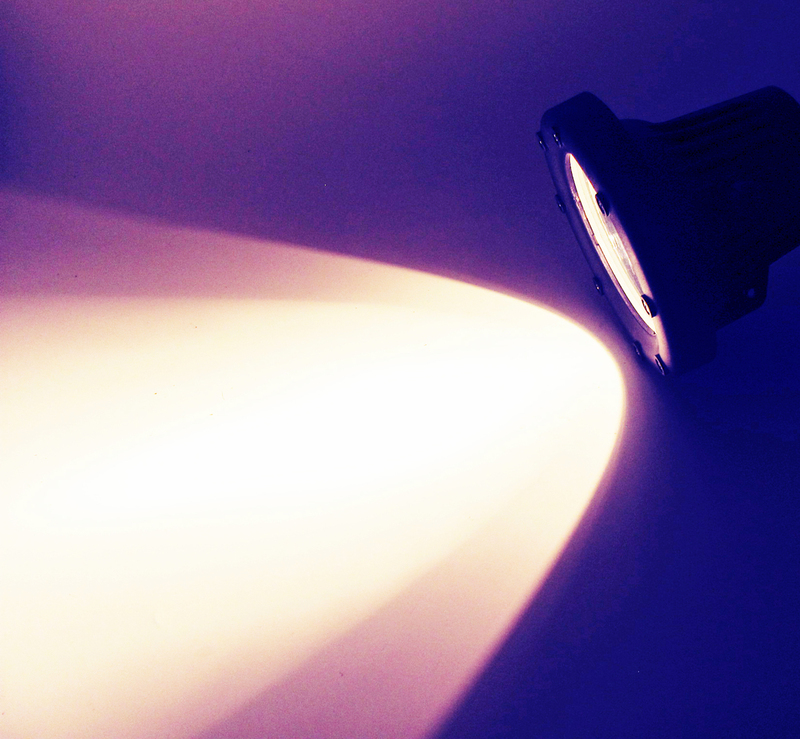 The Light can be moved horizontally 90 degrees on the base and the light can be moved in a 270 degree arc for precise aiming. 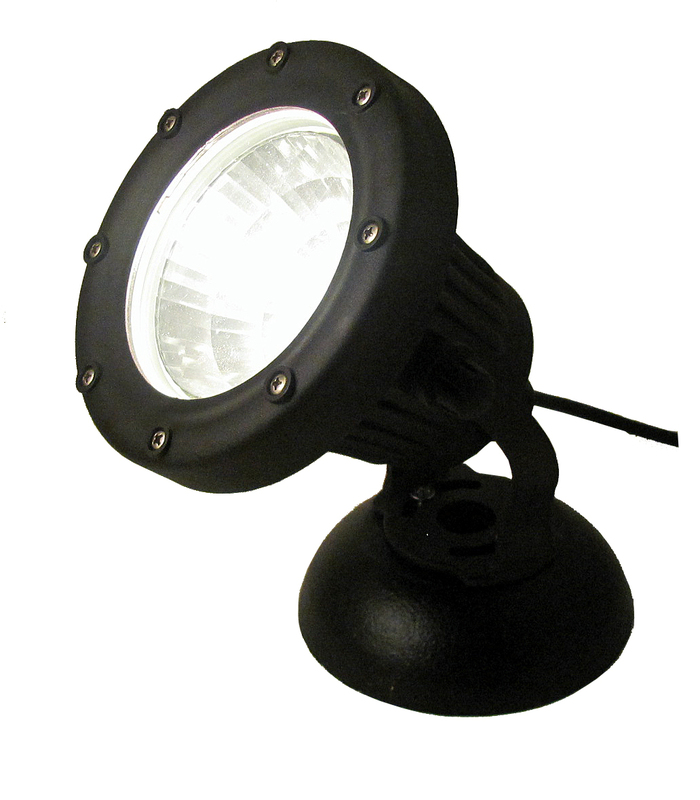 The light is easily locked into position by using the two locking caps located on either side of the light bracket. Applications include landscape features such as trees, statuary, ponds and fountain lighting. 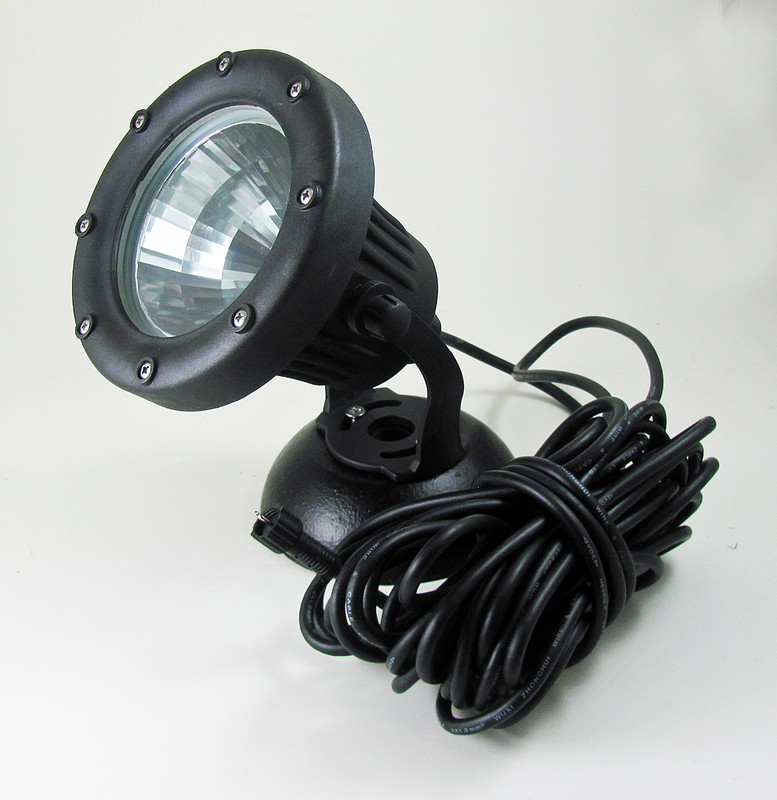 The waterproof housing can be submersed up to 2 feet without noticeable loss of light but for brightest light place behind waterfalls or just under the surface if you are using this with water or a water feature. 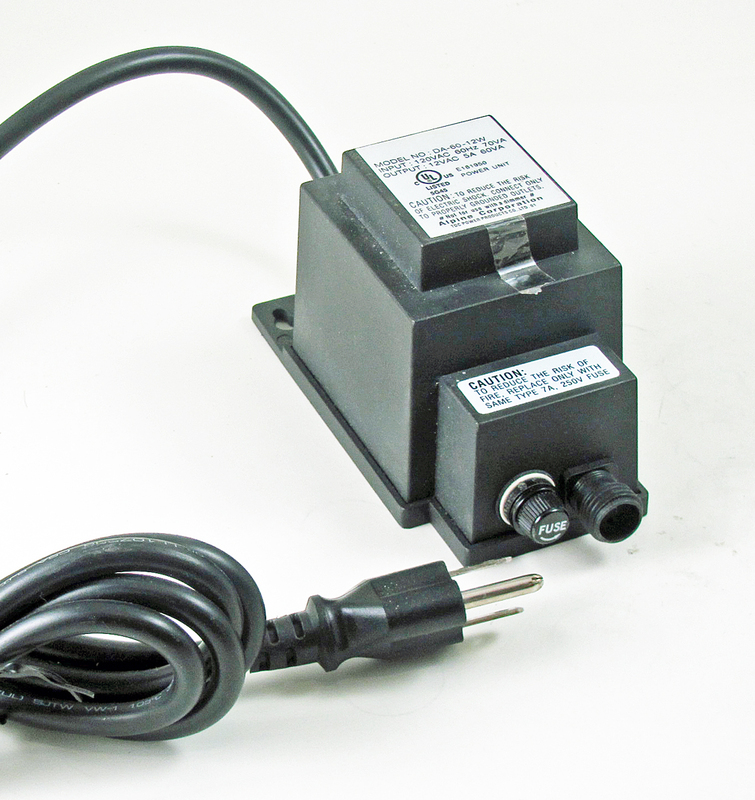 The unit is easy to install and includes an 8lb weighted base for standalone applications or just place the light behind a water feature. 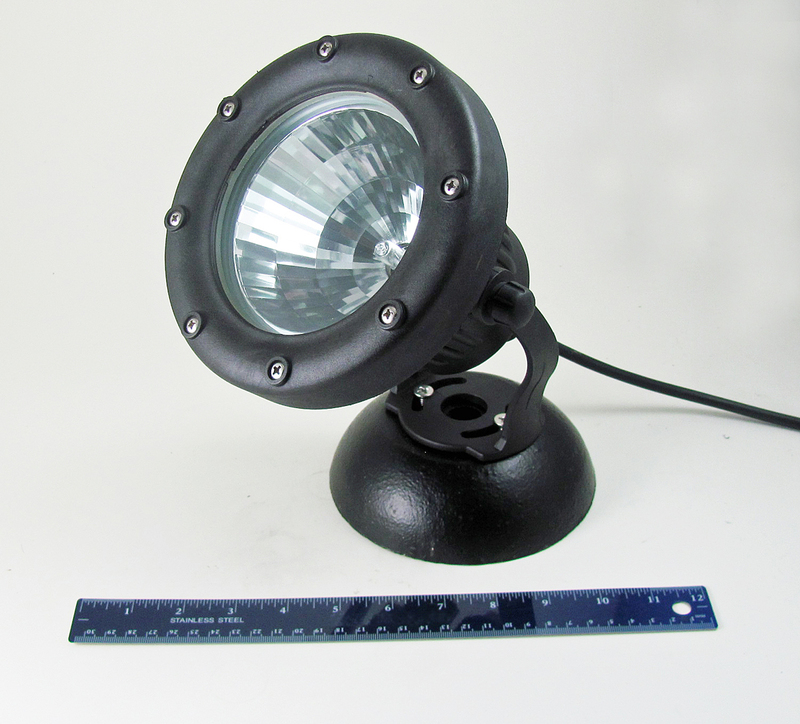 The light unit is also easy to mount on a flat surface using included mounting bracket.